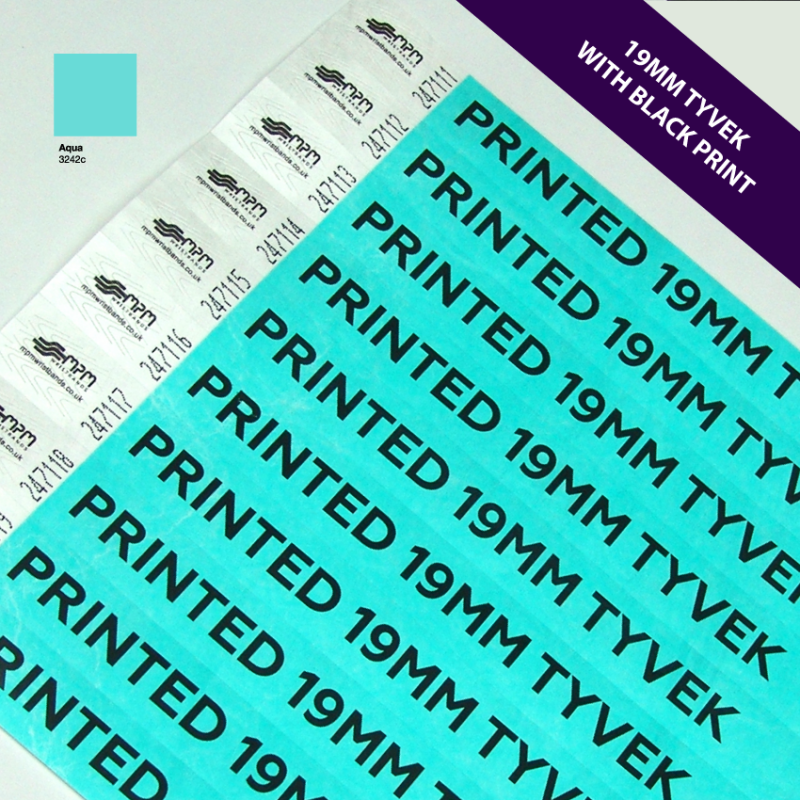 Paper wristbands are an affordable solution to monitoring event capacity and work effectively as a promotional tool. 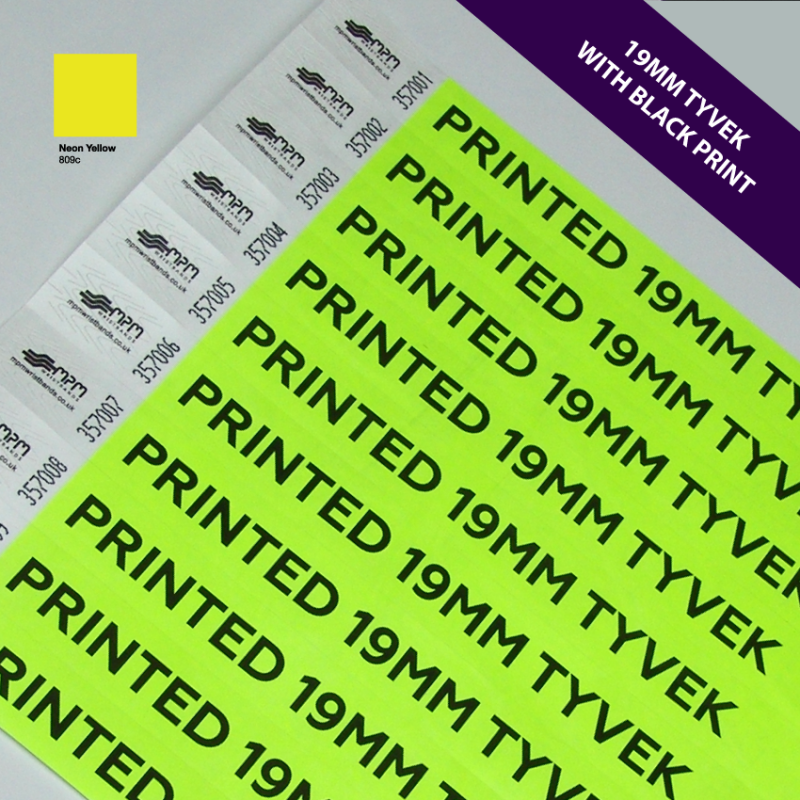 24 - 48hr dispatch on all orders received before 12 noon. 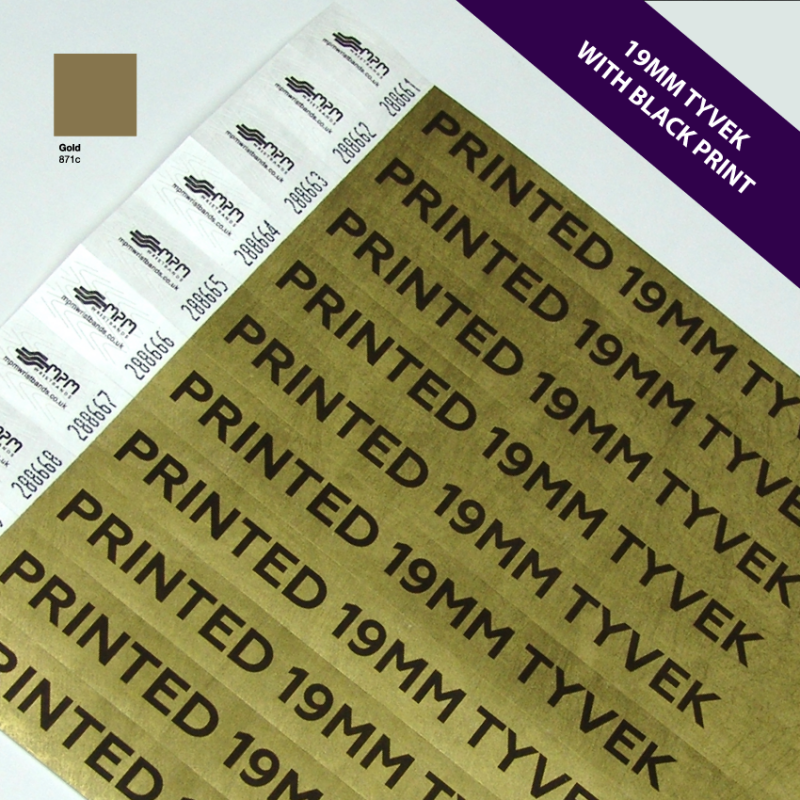 We stock the highest grade of Tyvek® wristbands available on the market. 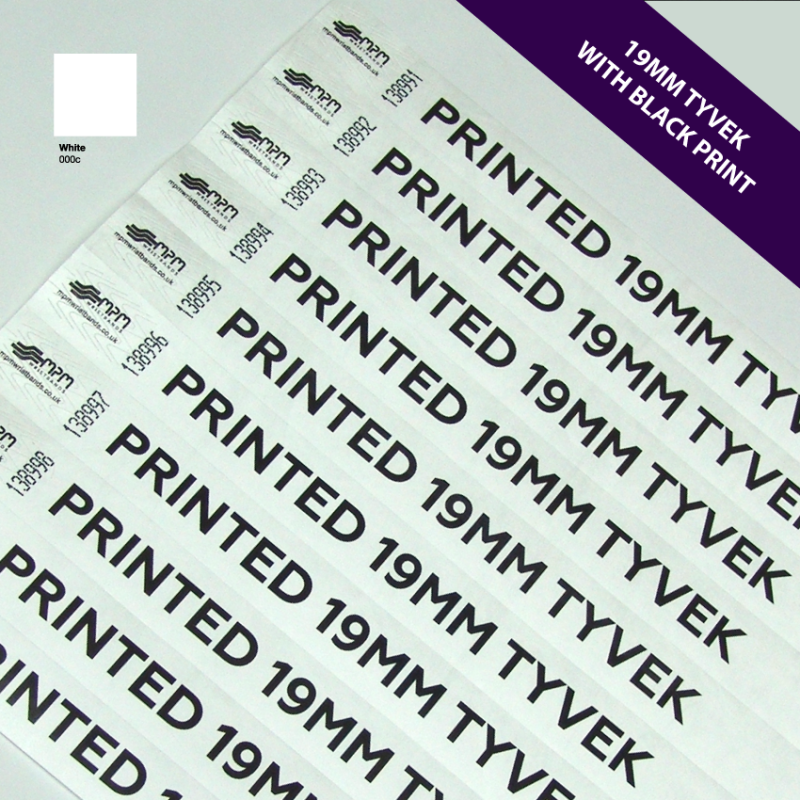 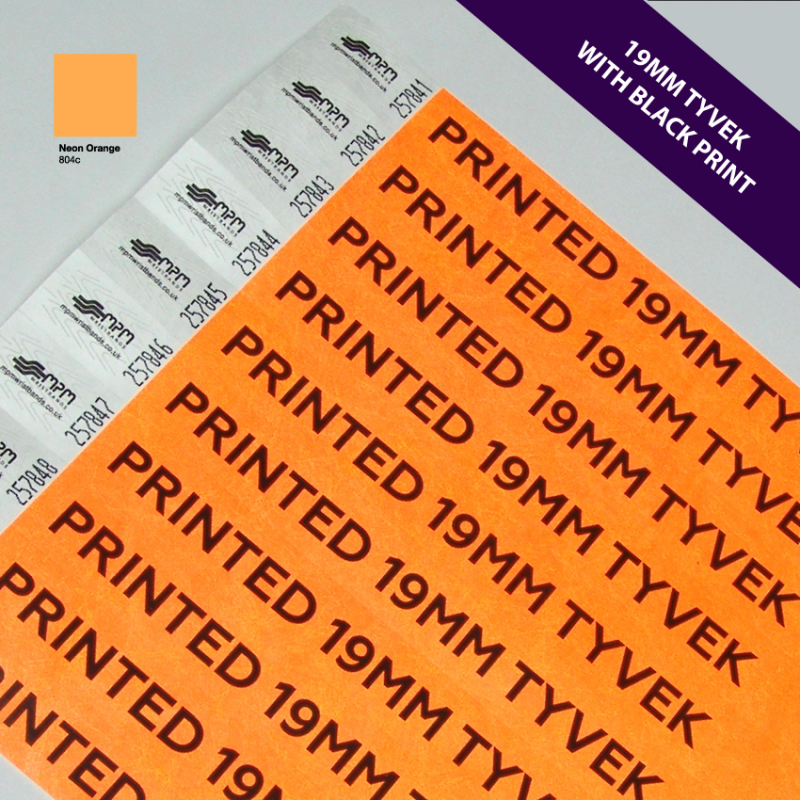 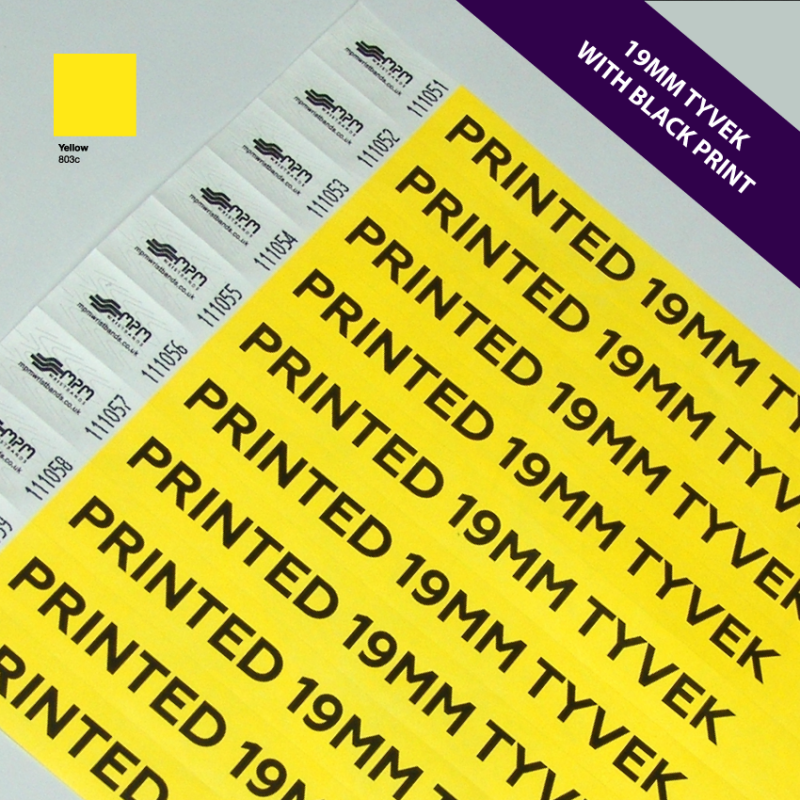 To order custom printed Tyvek® wristbands please fill in the the information boxes above and send us an enquiry, we will respond immeidately and begin to process your order. 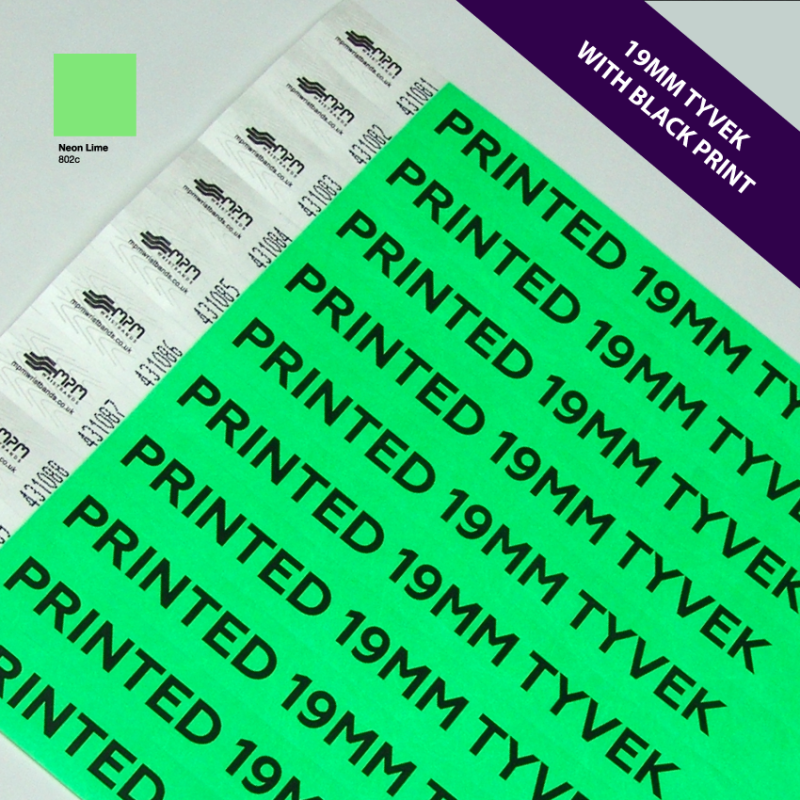 Please note if you select the Mixed Colours option you will need to email us your preferred colour breakdown There is no additional charge for this but you must order in mulitiples of 10. Tyvek® wristbands are a high quality and cost effective type of wristband made from spun polyethylene. The toughened wristbands are suitable for many events and festivals. 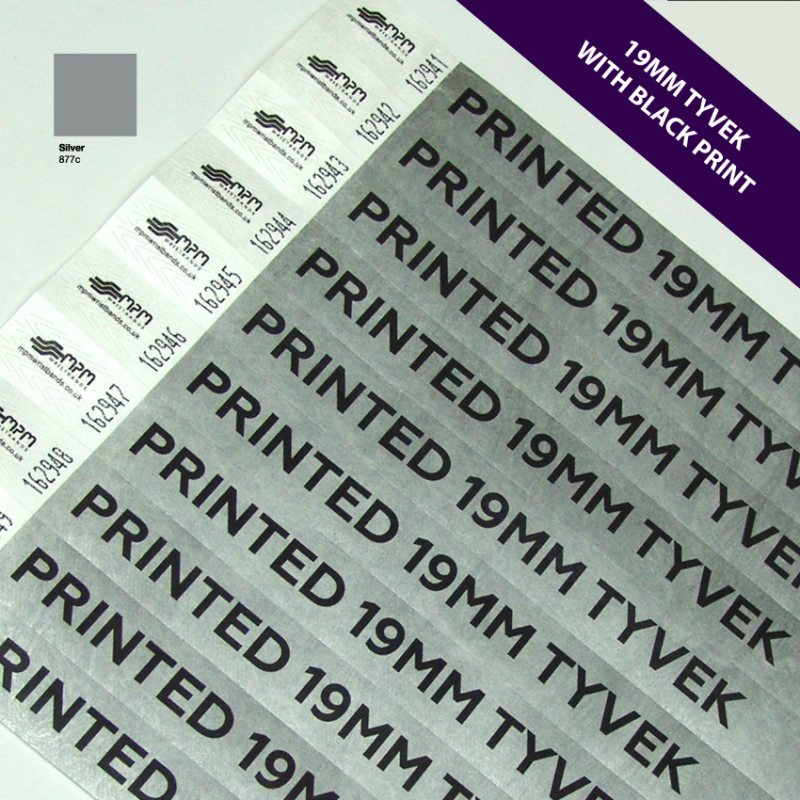 Tyvek wristbands are durable and long lasting and can be printed and customised to your requirements. 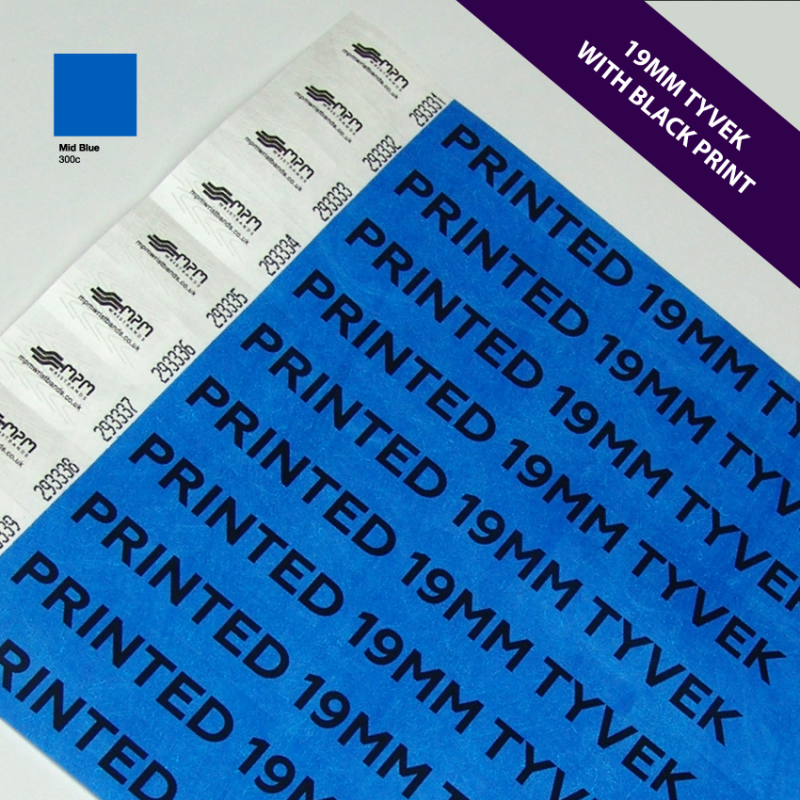 This can include any design from plain coloured, patterned right up to fully customised wristbands that contain logos and more generalised branding. 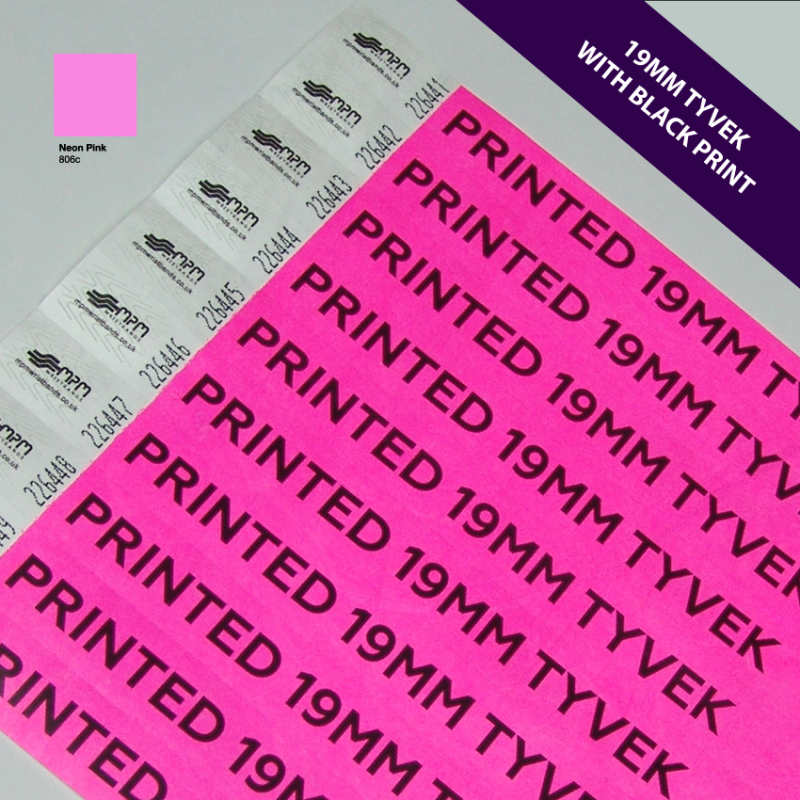 Tyvek® wristbands are an incredibly secure type of wristband and are designed so that any tampering can be identified very easily.